Craig Headwaters Protected Area protects the Craig River Valley from the Alaskan border to its junction with the Iskut River. This remote, gentle valley of rich coastal forest is home to towering Sitka spruce trees, spawning salmon and grizzly bears. 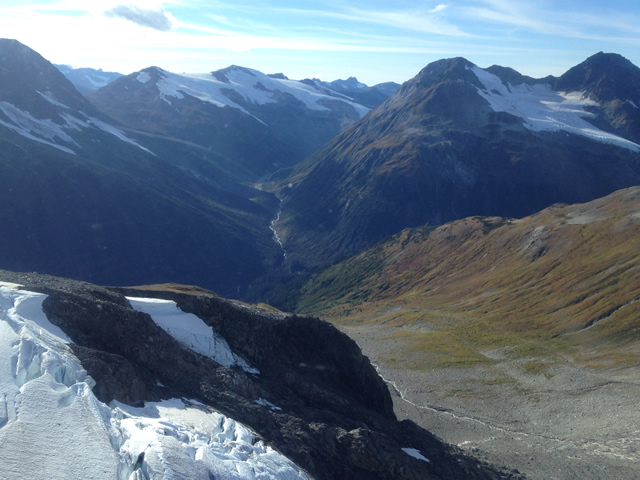 This remote park, bordered on the southwest by Alaska, is approximately 120 km south of the community of Telegraph Creek. Access is by helicopter only. History: The Provincial Government protected Craig Headwaters in 2001, following recommendations of the Cassiar Iskut-Stikine Land and Resource Management Plan. Cultural Heritage: Craig Headwaters Protected Area lies within the asserted traditional territory of the Tahltan First Nation. Conservation: Craig Headwaters Protected Area is located in the Boundary Ranges Ecosection. The park protects a representative example of low elevation coastal western hemlock forest and associated ecosystems. Rich micro-sites provide ideal growing conditions for Sitka spruce trees reach 60m in height. Uncommon plant communities are found near cool springs. Wildlife: The Craig River offers high value fish habitat for sockeye and bull trout and is one of the main coho spawning areas in the Stikine. Annual spawning counts of coho are conducted in the Craig in the fall as an annual indicator. The coastal forest valley of the Craig also provides grizzly bears with high value habitat. The management direction statement for this protected area was approved in March 2003.